The model was made in Zbrush. That is one awesome model, keep it up! It looks amazing. 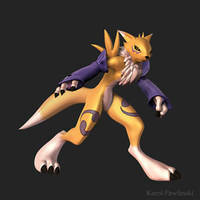 how long did it take you to create renamon in Zbrush? 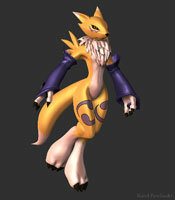 I'm not sure, but it must have taken about 20 hours to make the model and the textures. i try to download but i can't, why? You can right-click on the download button and choose "save as..."
thanks for the tip, I got it, thanks! 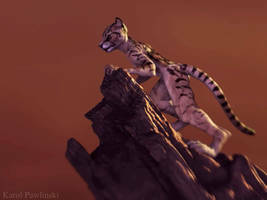 omg he/she looks epic wut is he/she from? Dude, this image BLOWS MY MIND!!! Hi, i modeled her in zbrush. That is so sick! I love it! This is amazing the way the lighting and shadows hit it gives it a kind of 3-D pop out effect without the glasses. hi, you can save the animated preview gifs from the gallery. when i import it to a 3d program and try to put it on the textures on the uv map nothing happends. do you know what could be happening? 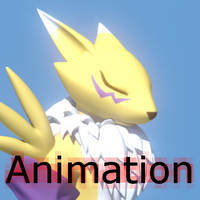 hi, what 3d program do you use ? i'm sorry, but i'm not familiar with this programm.